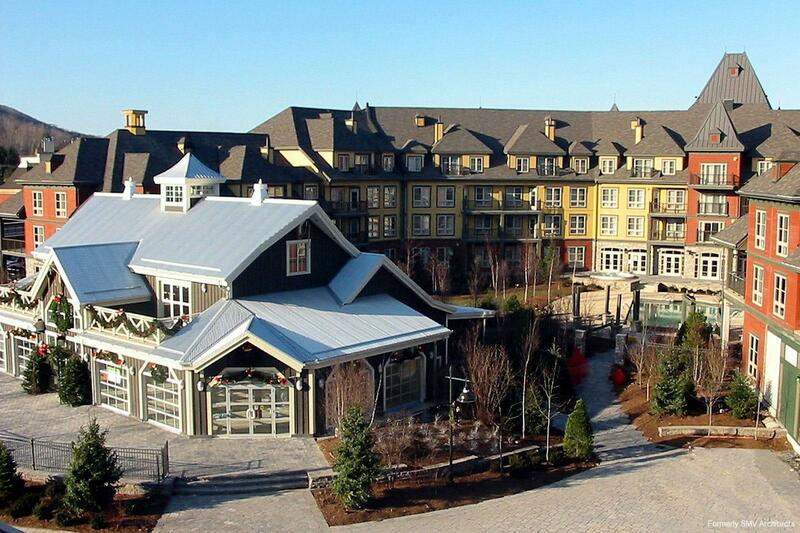 The Grand Georgian is a four-storey, 203-suite hotel/condominium located in the heart of a premiere four-season destination, Blue Mountain. As the first building in the development, The Grand Georgian provides the focal point of the main entrance to the pedestrian village and check-in facilities. 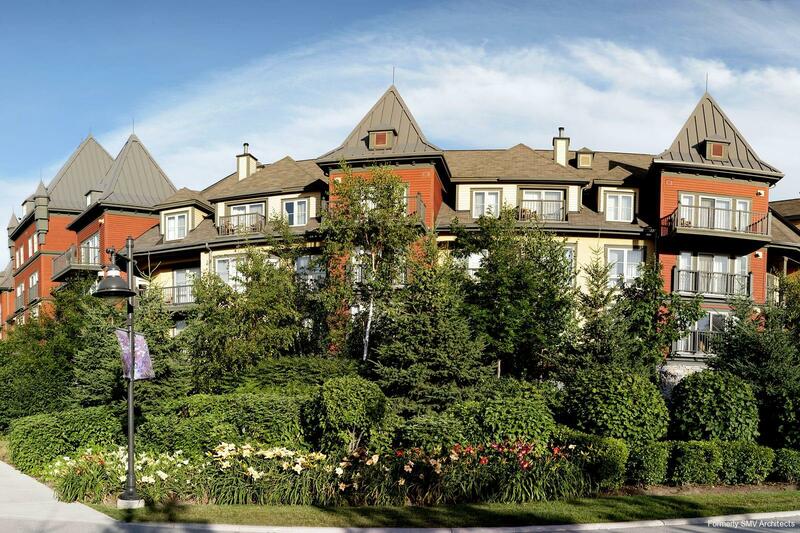 The Grand Georgian is fashioned after a historic railway hotel with evocative towers, turrets, and dormer windows. The large, welcoming covered entrance leads to a beautiful open lobby with hearth room. Amenities include a media/conferencing facility, fitness area, and ground level access to retail stores and restaurants. Our creative siting, massing, architectural, and interior design contribute to a memorable visitor experience, return visits, and superior financial performance.